The Roamin' Oldies Car Club is dedicated to the enjoyment and use of interesting cars and trucks. 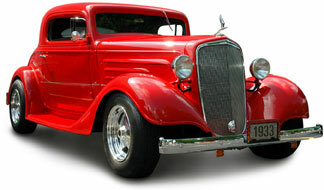 Our members' vehicles include antiques, collectibles, street rods and even an occasional tractor. They range from award-winning restorations to works-in-progress of questionable heritage. Our club was formed to share our common interest in all things automotive and to enjoy the company of like-minded friends. We invite you to join us. Click on one of the buttons at the left of this page for information about the club and our events. Please get in touch by using the Contact Us page, Or click HERE to become a Member! Look at our latest news from April 2019. Next Club meeting is Monday, May 6th @ Dennys @ 7 PM. Eat @ 6. Next club car show: May 2nd at Mira Bay Winn Dixie Plaza. Rain dates are the following Thursdays.